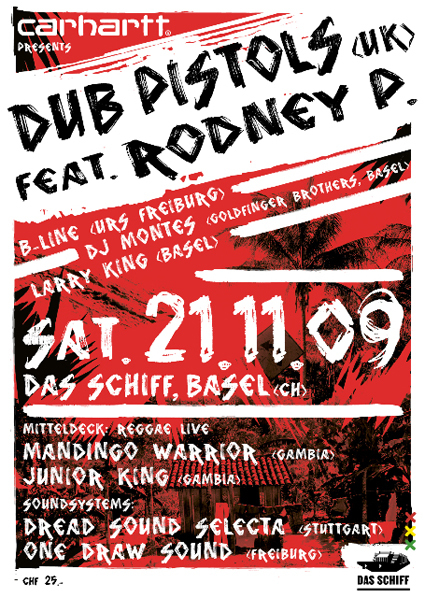 Next saturday the British veterans of dub influenced party beats play at Das Schiff to present their latest album Rum & Coke. As a very special guest they welcome on stage Rodney P, one of the longest and most respected MCs in UK Hip Hop. On the middle deck of the swimming club also Mandingo Warrior and Junior King celebrate Reggae and Dancehall. A night in the name of heavy breakbeats and massive basslines, that will make you bob up and down on the water.